Home PV University Articles Notice of Counterfeit Pelli-Robson Products. Don’t Be a Victim. 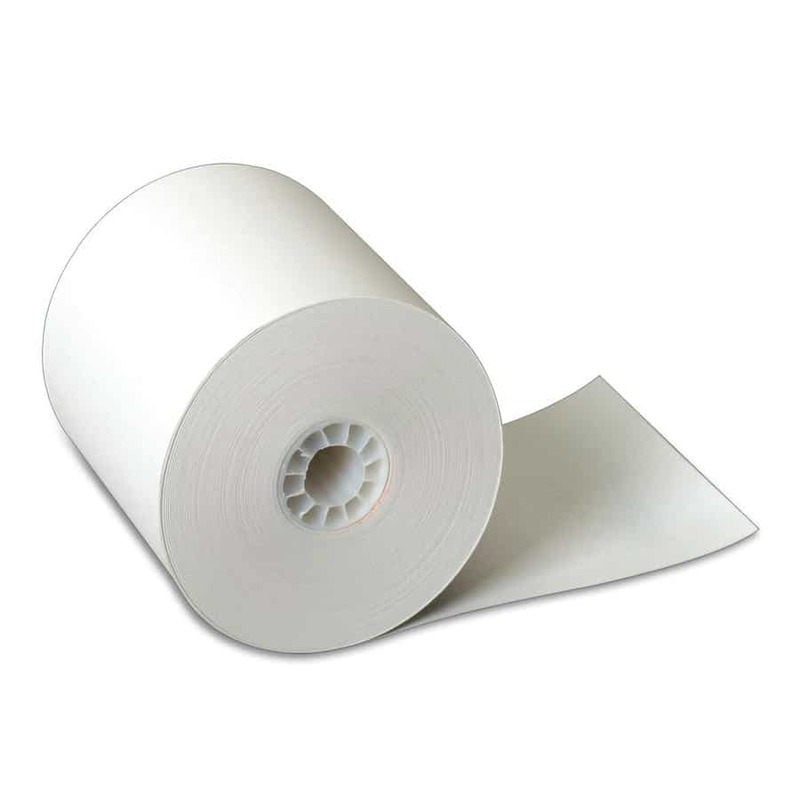 Notice of Counterfeit Pelli-Robson Products. Don’t Be a Victim. 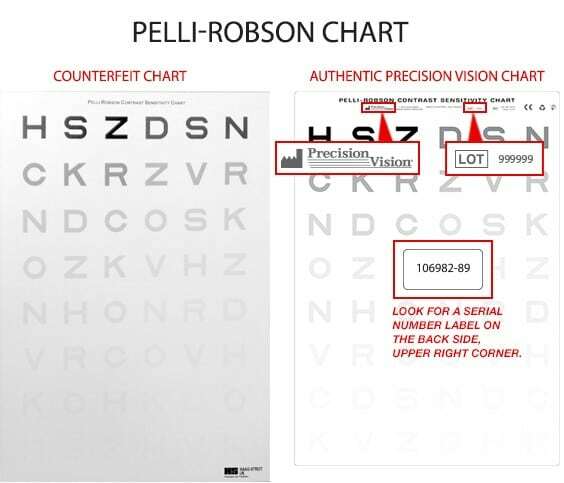 Very recently Precision Vision identified substandard counterfeit Pelli-Robson Contrast Sensitivity Charts™ being sold and used in India. 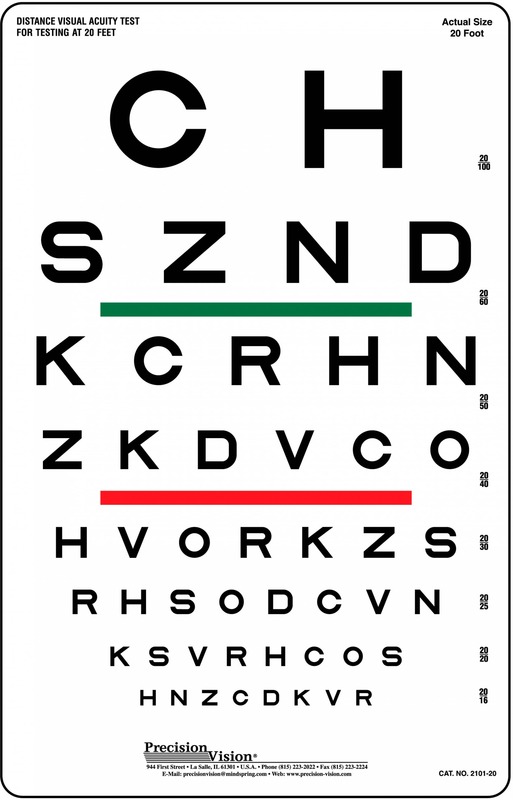 Precision Vision has been the only authorized manufacturer of these charts for the past six or more years. Prior to that Haag-Streit UK made them. The two counterfeit charts found so far came from two different distributors. Below is an image of one of those charts followed by an image of an authentic chart produced by Precision Vision. You will see the use of the Haag-Streit logo on the counterfeit chart but note that this is not the way their charts were labeled for several years prior to Precision Vision manufacturing them. These counterfeit charts are most certainly not properly calibrated and they should not be used. If research has been done using one of the bad charts the validity of the data is questionable. Precision Vision has controls in place to verify the authenticity of all Pelli-Robson Contrast Sensitivity Charts™ they’ve produced and shipped. 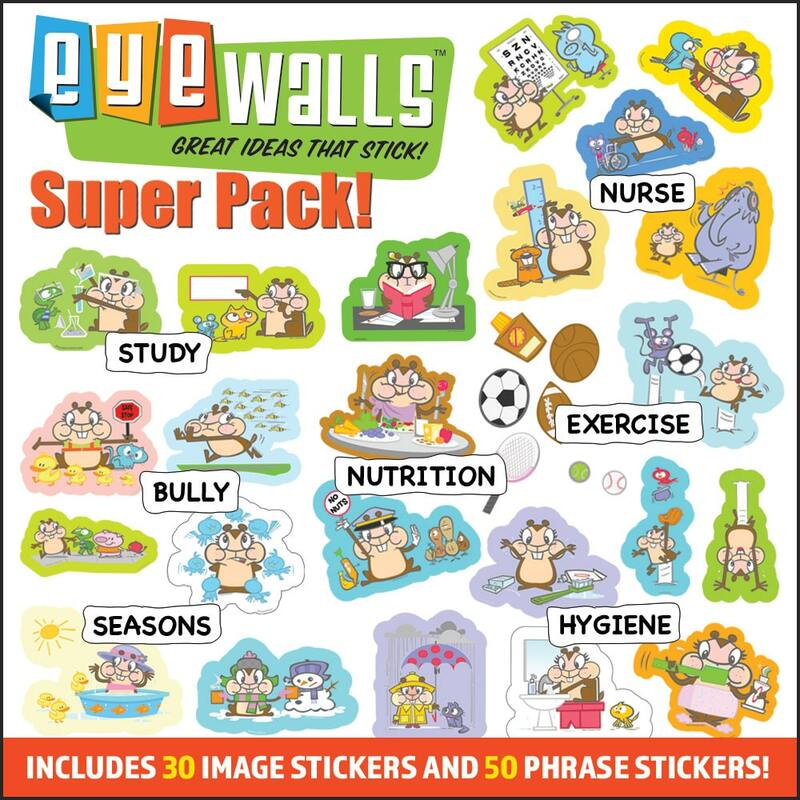 Charts are traceable to each recipient with a lot number and serial number printed on each chart. If you believe you have a counterfeit chart contact them as soon as possible and their customer service staff will collect the necessary information from you and be able to tell you if you have an authentic chart or not. 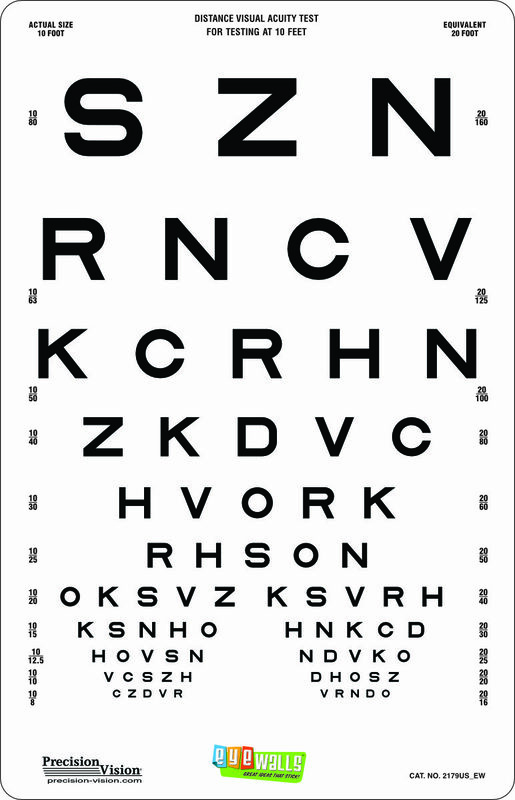 If you have a Pelli-Robson Contrast Sensitivity Chart™ that was not made by Precision Vision it is at least six years old and should be replaced since they are not usable after three years. Precision Vision is also willing to help researchers verify the calibration status of counterfeit charts used in research. Contact Precision Vision if you are in a position of needing this help for more details. 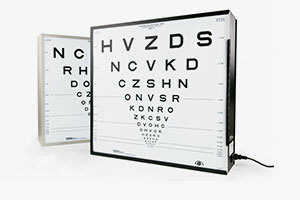 If purchasing or considering a purchase of a Pelli-Robson Chart it might be wise to check with Precision Vision to verify if your source of supply has an established business relationship with Precision Vision and has access to the proper charts. Please pass this email along to friends and colleagues who may find this helpful.